Disaster scenario #1: What if your phone was stolen? With CrookCatcher installed on your smartphone or tablet, you might have a chance at getting it back! 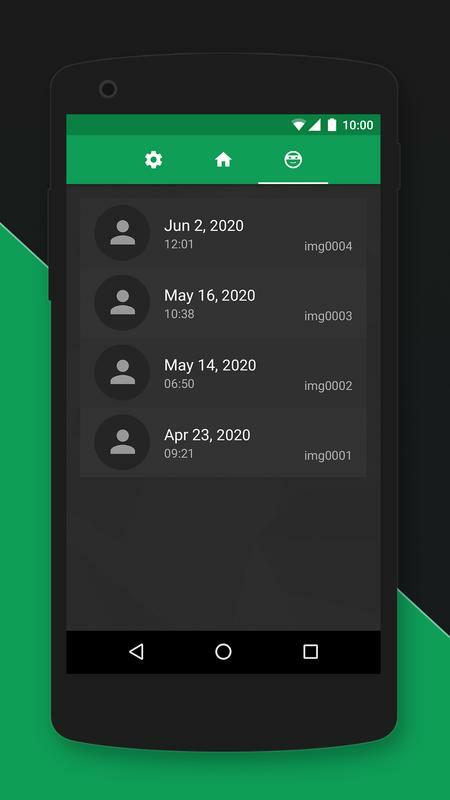 CrookCatcher hides behind your lockscreen and if someone tries to unlock your phone with the wrong code, it takes a picture of the person with the front facing camera. 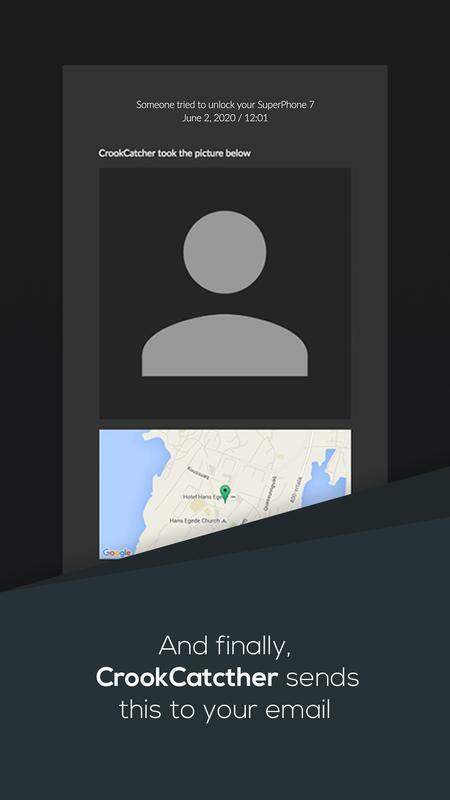 CrookCatcher immediately emails the photo of the thief to you, along with your device’s current GPS location. 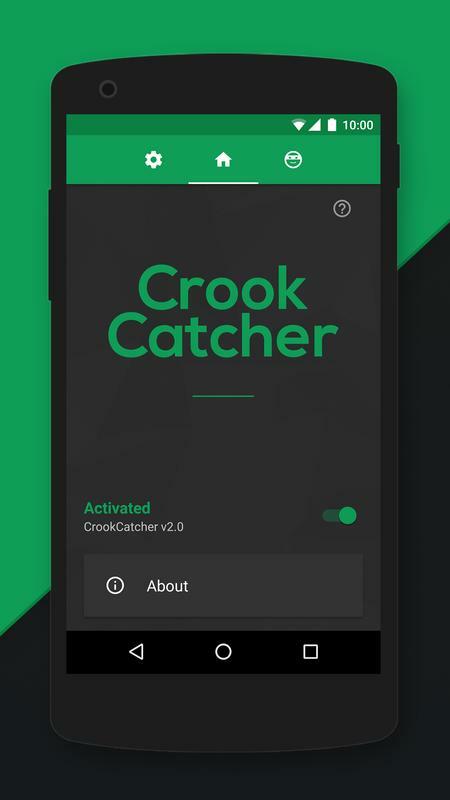 So whether your phone gets stolen or your coworker/partner/friend is simply too snoopy, with CrookCatcher you always know if you have an intruder! • Takes photo with secret camera when someone tries to unlock your phone with the wrong code. 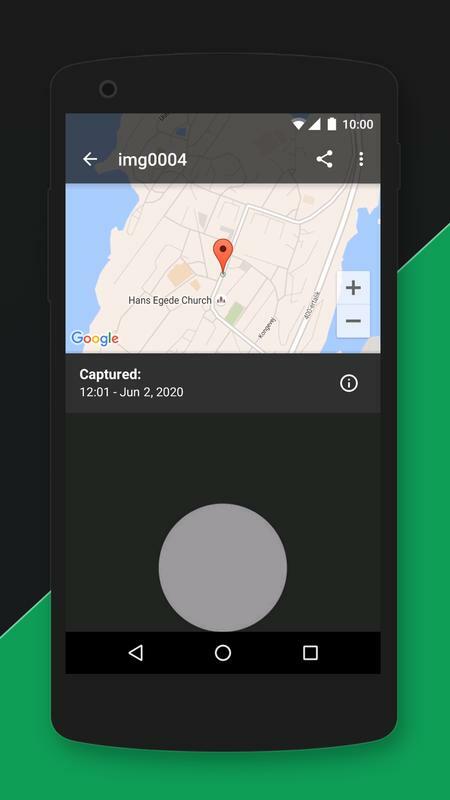 • Sends email with photo, GPS coordinates, accuracy, estimated street address, map and link to Google Device Manager with which you can track your device’s location 24/7. 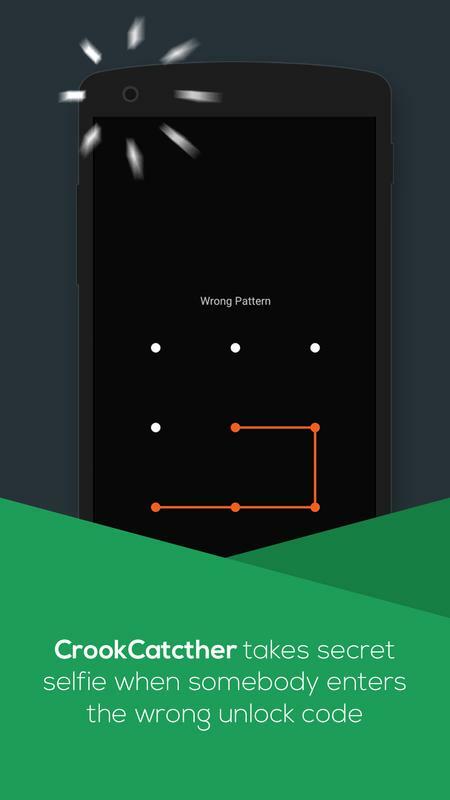 • Works with password, pin code and pattern lock. 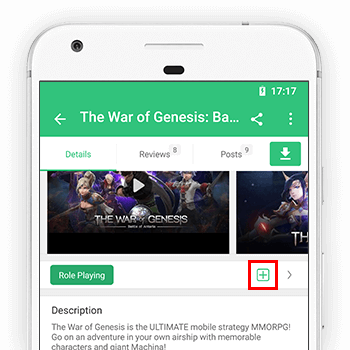 • Combined map and photo view to browse pictures inside the app. • Of course it is completely silent and secret (turn off notifications in settings). • No battery drain - CrookCatcher only runs when the wrong code is entered. The app is free - for you. 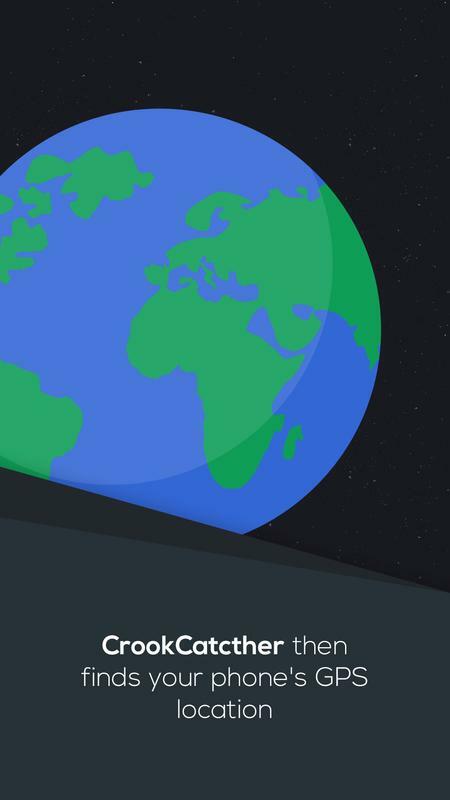 The app contains ads - for me (the developer). Without the ads I would not be able to eat or create CrookCatcher. Support development and get the full experience of CrookCatcher by purchasing PREMIUM inside the app. • Detect SIM card change (send email with SIM and carrier info: subscriber id, operator name, SIM country and SIM serial number. This info might make it possible to get help from the SIM carrier to find your phone). 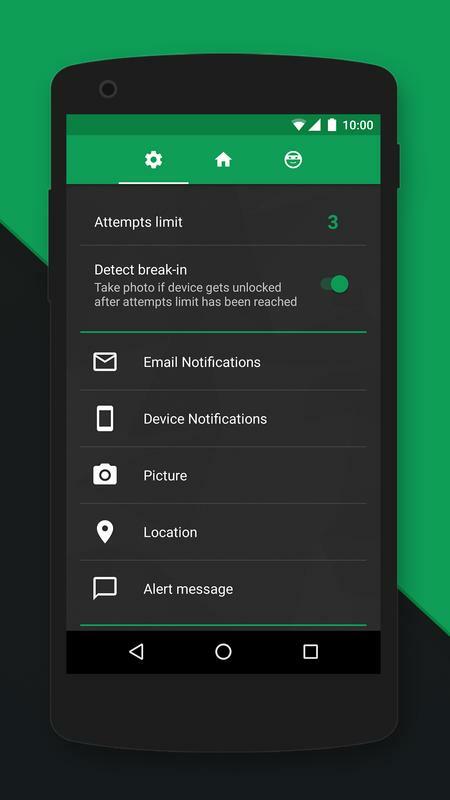 Note: This app uses the Device Administrator permission to monitor screen unlock attempts. Why is the Samsung Galaxy S5 not supported? There is a bug in the Samsung Galaxy S5 firmware, which causes CrookCatcher to fail. Until Samsung sends out a fix, CrookCatcher will not support the Galaxy S5. // [ACTION REQUIRED] Security update: CrookCatcher is changing to a more strict Email permission. Please open CrookCatcher after updating to enable Alert Emails again with the new permission.